LES low profile engine cranes are a superb addition to the industrial workshop, neatly folded away, the SCB foldable engine crane conveniently wheels around for easy transportation and storage when not in use. 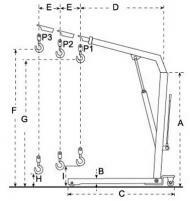 Three hook positions give different load ratings whilst enabling a longer or shorter reach. 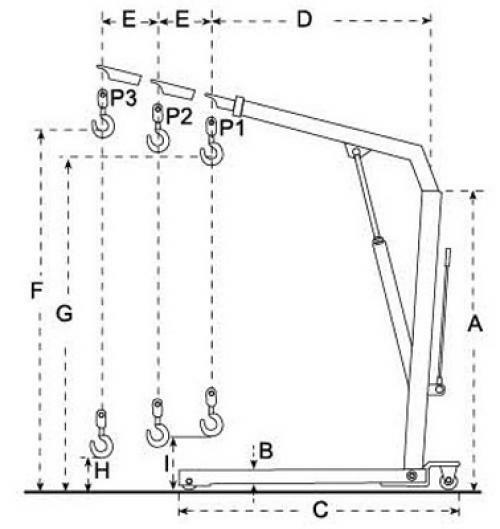 To raise the load one simply attaches the hook safely to the loads lifting point, always check your load charts prior to lifting and ensure you're lifting within the working limit. Once everything is secure use the hand pump to raise the load, once clear the load can be wheeled around (at the lowest possible height) and lowered using the release valve located on the side of the ram. 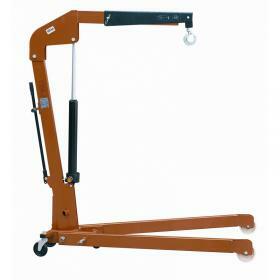 This superb quality workshop crane comes with 12 months warranty and LES product support.